Communication in Healthcare | 8x8, Inc. In November of 2018, a healthcare communication specialist in Quebec wrote an eye-opening article published in the Montreal Gazette which admitted that, in this day and age, most communication between doctors in the region still happens with a fax machine, and that pagers and pencils are more commonly used than digital solutions. It's worth remembering that legacy systems and traditional ways of doing things are deeply embedded in many healthcare systems around the world. There may be astonishing leaps in healthcare communication technology happening every year, but those breakthroughs and advances don't mean very much if the people who should be using them simply keep on doing what they have always done. It almost goes without saying that the technology available to solve these problems is available, and should be deployed as a matter of urgency, for the sake of everyone in the system. Facilitating communications in healthcare is one of the most cost-effective and rewarding advances that any healthcare system can make. Fortunately, while the importance of great communication solutions in healthcare has grown, the cost of it has been coming down steadily, thanks to incredible advances in big data, analytics, mobile devices, cloud solutions, and communication technology. The size and sophistication of the cloud have made these solutions more available than ever before. 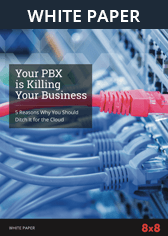 IP telephony calling and management (VoIP) that increases employee connectivity, while typically reducing costs 30 to 40 percent. In order to facilitate improvements in care quality, delivery or outcomes, multiple providers need to connect in order to communicate and collaborate. By enabling multiple stakeholders to share information quickly and easily over a network, a cloud-based solution enhance the workflow capabilities of teams and as a result, should improve the quality of healthcare. The nature of the highly diverse data systems available, and the education required to incorporate legacy and new systems enable two-way communication and enhance security remains a big challenge to almost all health departments that are grappling with the new realities of the digital economy. "Cloud computing can process massive amounts of structured and unstructured data to unlock meaningful analytical insights and easy integration into existing workflows to help stakeholders make timely, better-informed decisions," explains industry blog Healthcare Business and Technology. Resistance to change is a real factor that needs to be dealt with. Staff is often resistant to change, even if they can intellectually see the benefits of a new system. We all know that change is hard. But when a system is implemented slowly, with minimal installation time, and it quietly gets on with improving the system then momentum can build and lead to wider adoption. Secure chats between caregivers and staff, doctors and technicians collaborating over distance seamlessly, the sharing of data via text, voice, and video ... these are all innovations which change the way that both patients and medical staff approach their work. An empowered call center also makes a dramatic difference to a healthcare facility. Patients are connected to the right person at the right time, medical workers get up-to-the-minute information based on the caller's phone number, and all your media, from contacts to email, voice, video, text and more — they all come together on one platform so that providers do not waste time switching between applications or losing data. A unified communications system is one of the smartest and most cost-effective solutions that a healthcare system can implement. Cloud-based VOIP, which can scale easily, is one of the best ways to future-proof your system and have a direct impact on the quality of healthcare that a patient can receive.